Chris Pasteur is a chartered civil engineer with 29 years’ experience in the water and hydro industries, having worked for contracting, consulting and client organisations. Before establishing Cairneyhill, a consultancy service to the UK hydro industry, Chris managed a team of developers and construction management professionals delivering RWE’s 70MW hydro development programme in the UK. This included responsibility for the entire hydro scheme lifecycle – feasibility, consenting, construction and asset management. Previously Chris worked on the asset management and refurbishment of various civil and mechanical assets for SSE within their 1300MW, 60 hydro power station portfolio, as well as on the development of the 100MW Glendoe hydro scheme. Miranda Wharam is currently the vice chair of the Strathpeffer Community Association and supporting ‘Strathpeffer Saves’ through the Climate Change Fund aiming to reduce the carbon footprint in the community and become more energy efficient. 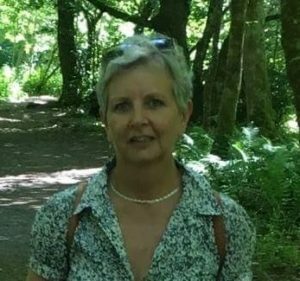 Miranda is also involved in various other community associations in Strathpeffer and the locality and has a background in youth and community work and 30 years ’experience in social care and as a Senior Manager within the social care sector in Sussex. Miranda has significant experience in management within the statutory, voluntary services for disabled children, providing strategic and financial leadership to provide safe delivery of services for children. Andrew King . After graduating, Andrew had a wide-ranging career in business management before going freelance in the early 1990s, gaining wide-ranging experience in a variety of sectors. He first became involved in community energy over 20 years ago, quickly developing a view that to maximise community benefit it is essential to combine the ethics of community ownership with strong business management. 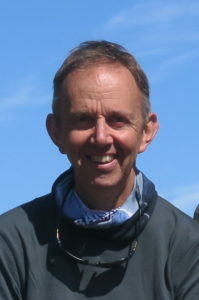 He has served as a director of a number of community-based renewable energy schemes and although now retired, he remains on the board of the Findhorn Wind Park in NE Scotland. He retains a strong commitment to the sector and is pleased to offer his experience to The Highland Community Energy Society. 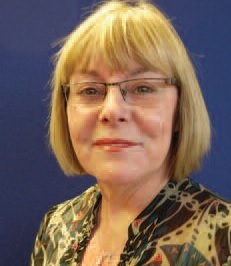 Annette Heslop MBE is the Finance and Administration Director of Energy4All, which she joined in 2002. Annette has been a director of Baywind Energy Co-op up to 2015 and is currently a director of High Winds Community Energy Society. She is responsible for the professional management and administration of all the Energy4All co-ops. As Finance Director of Energy4All, she leads on financial control, modelling, costing, projections, banking and treasury. Jim Lee is Energy4All’s Project Officer in Scotland. He chaired the board of the Spirit of Lanarkshire Wind Energy Co-op for many years and is currently on the boards of Edinburgh Community Solar Co-operative and the Arrochar Community Hydro Society. Jim’s role is to develop opportunities for Energy4All in Scotland, helping them to extend the scope of community-owned renewable energy. Jim is working with communities across Scotland to help them gain maximum benefit from renewable energy projects in hydro, on-shore wind, solar and district heating. Jim had been involved in the Co-operative Movement over a number of years and is Vice Chair of the Lanarkshire Credit Union. In recent years, he worked for the Scottish Fair Trade Forum and for Community Links in South Lanarkshire where he supported the establishment of several food co-ops.